It was the best Nift gift! My son had a great time. The gift was for the whole day. We went in the morning and went back again in the afternoon. I would love this gift again. Good space, very relaxed, and challenging climbs. Would be great if they had a little more space for lifting, weights and stretching. Helpful, friendly staff and community! Rock Spot is a great climbing gym. Totally beginner friendly, but with plenty of walls for people who can handle more advanced climbing. They work really hard to create community. The front desk staff has never been anything less than welcoming and gracious to me. 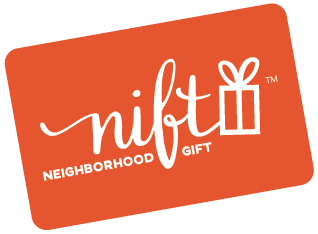 I never would have tried Nift without their invitation, and I am so glad I did! Such a cool new spot - thank you!